The Delinquent HOA Owner Filed a Chapter 7 – Is it an “Asset” Bankruptcy or a “No Asset” Bankruptcy? As you likely know, there are different types of bankruptcies that an individual can file. Typically, we see delinquent owners file either a Chapter 13 bankruptcy seeking to readjust their debts, or a Chapter 7 bankruptcy where the owner is seeking to liquidate their assets and eliminate their unsecured debts. This article will deal exclusively with Chapter 7 bankruptcies. 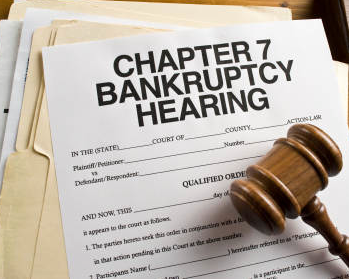 Chapter 7 bankruptcies are generally the simplest of all bankruptcy cases, but that doesn’t mean that there aren’t important distinctions to be made on a case-by-case basis which could affect a creditor’s claim. The most common and most important distinction to be made in a Chapter 7 bankruptcy is whether it is an “Asset” case or a “No Asset” case. To understand what this means, you need to know a little bit about how a Chapter 7 bankruptcy works. A Chapter 7 is a straight liquidation of the Debtor’s assets. The bankruptcy Trustee will marshal all of the assets owned by the Debtor which have value and which are not exempt. The Trustee will then attempt to sell these assets in order to pay the creditors. Any remaining unsecured debts will then be discharged and wiped out. If there are assets which can be sold in this manner, then the case is considered an “Asset” case. If the Debtor does not own any assets with sufficient value to overcome the amounts of exemption, then the case is considered a “No Asset” case. In this situation, the Trustee will not sell any of the Debtor’s assets because there is nothing to sell, and the case will go straight to discharge. These days, the vast majority of Chapter 7 bankruptcies are filed as No Asset cases. These cases will generally result in a discharge being ordered, and the cases will typically close approximately 90 days from the date they were filed. Once a discharge order is entered, the unsecured creditors must remove the discharged debt from their books. Creditors are prohibited from attempting to collect the discharged debt, and the Debtor then has no liability for this debt. The discharge will apply to all unsecured debts incurred prior to the petition date, with a few exceptions. This is why it is so important for associations to have assessment liens recorded against a delinquent homeowner’s property as early as possible. Once a lien is recorded, the association is considered a “secured” creditor, and even in a No Asset Chapter 7 bankruptcy, the association will then retain the right to foreclose on the property once the underlying debt is discharged. As a No Asset bankruptcy, the unsecured debts will be discharged regardless of whether the creditor was listed on the bankruptcy schedules. Therefore, the fact that a creditor was not provided notice of the bankruptcy will not affect the dischargability of the debt. So, an unsecured creditor’s claim can be wiped out even if that creditor was not provided notice of the bankruptcy. In a Chapter 7, if there are assets for the Trustee to liquidate, then the discharge can still be entered, but the case will not be ordered closed until the assets are liquidated and the proceeds are disbursed to the creditors. This is an important distinction because the entry of a discharge order does not lift the Automatic Stay. Therefore, the creditor will not be able to proceed with its collection activity on secured and/or post-petition debts once the discharge order is entered because the Automatic Stay will still be in effect until the bankruptcy is ordered closed. “Closed” in this regard means the case is final, discharge has been entered, there are no other matters for the court or the Trustee to handle, and the Automatic Stay can be lifted. The case will generally remain “open” for an undeterminable amount of time while the Trustee markets the assets, sells the assets, and pays the creditors from the proceeds of the assets. This means that the association’s board of directors must continue to evaluate its options of whether to pursue relief from the Automatic Stay even in a Chapter 7 bankruptcy case so that the association’s collections are not stalled indefinitely. Since there are assets available to use to pay creditors in this situation, the creditors will also need to file a Proof of Claim so that they will be included in the disbursement of the resulting funds. As you can see, even the simplest of bankruptcies can actually be somewhat complex and difficult to manage. It is our recommendation anytime a delinquent homeowner files bankruptcy that the association promptly engage the services of their legal counsel to evaluate the case and provide advice on how to proceed. In many situations, doing nothing will cause the association to lose out on collecting funds in a bankruptcy which would have otherwise been paid if action had been timely taken. An association’s board of directors should not assume that a debt is uncollectable until that determination is made by the association’s legal team.